We have been printing in New Orleans for over 48 years. We print color copies, black and white copies, carbonless forms, business cards, post cards, envelopes, letterhead and just about anything else you can think of. If it has ink on it, we make it. We have been serving New Orleans for a long time. We deliver to the entire city of New Orleans including the convention center, hotels downtown, the French Quarter and Uptown. Printing has changed a bit over the years. We still use our printing presses for a lot of jobs, but also run jobs on our digital presses. 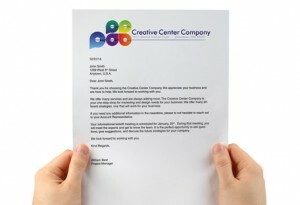 We have also added wide format printing to our services. Banners and Signs are made on a wide format printer. So are posters, vehicle graphics, billboards, window graphics, and more. If it is bigger than a legal size sheet of paper, it is probably printed on a wide format printer. If you are looking for printing in New Orleans, Metairie, Kenner, Covington, Mandeville, Madisonville, Algiers, Gretna, or any other North Shore or West Bank city, we can do it for you!